Step By Step: Install Oracle 11g R2 Grid Infrastructure on Oracle Enterprise Linux 5.5 (32 bit) Platform. 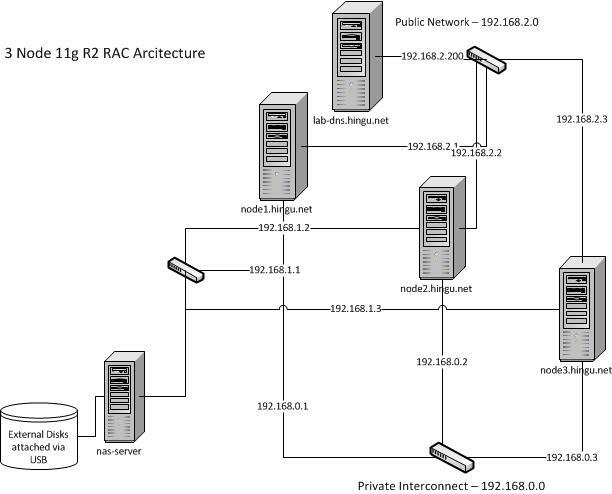 Get ready with the RAC Architecture Diagram and RAC Setup Information about Cluster Name, SCAN Name, SCAN VIPs, Node Names, VIPs, and Inventory Location. Ignored the failures of NTP check to use Oracle’s CTSS. All the 3 nodes’ clock was set to same time before the installation. After the successful completion of these scripts, the 11g R2 High Availability Service (CRS, CSS and EVMD) should all be up and running. Verify the status of the installation using below set of commands. The GSD and OC4J resources are by default disabled. Enable GSD them if 9i Database is managed by this cluster. With the Successful installation of 11g R2 Grid Infrastructure (11.2.01), Next is to install 11g R2 RAC (database 11.2.0.1) software and create a RAC database.